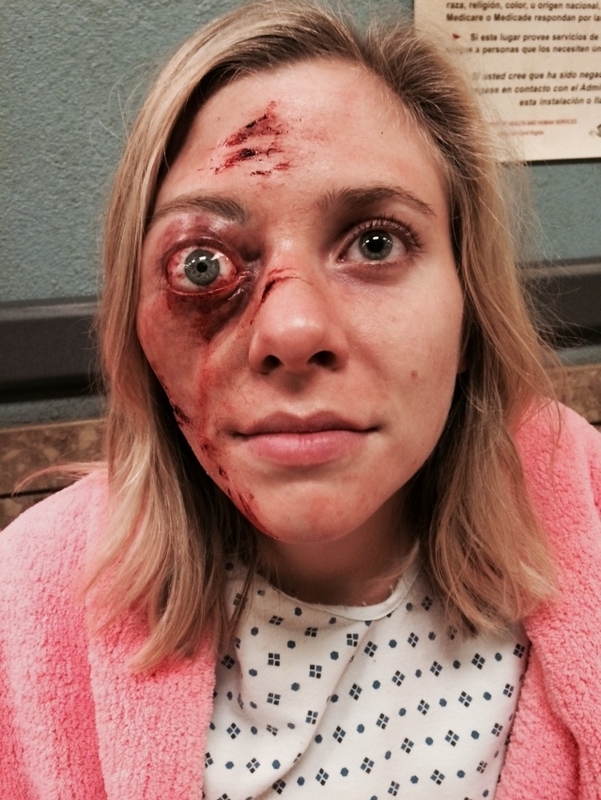 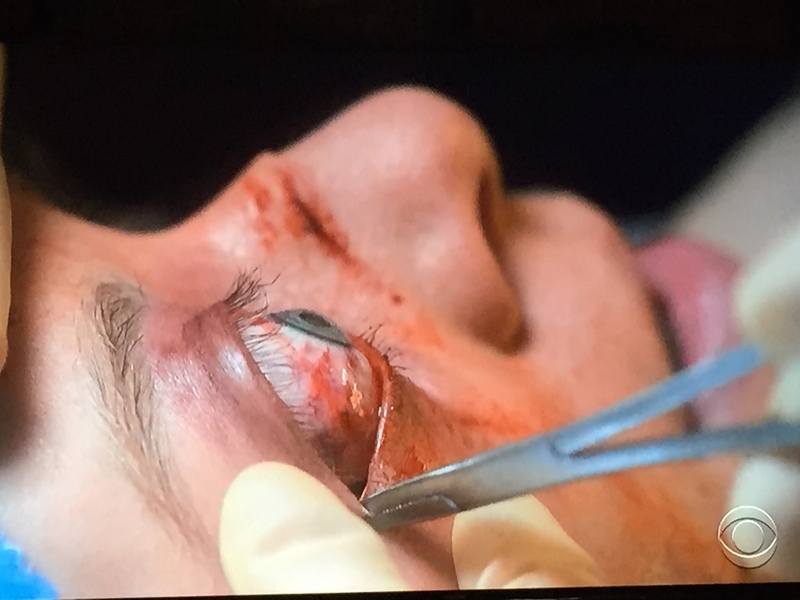 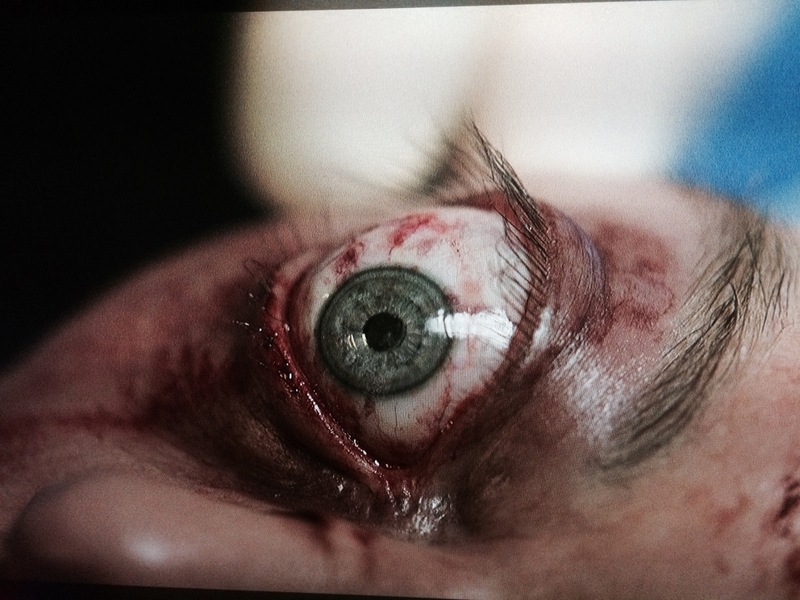 In an episode of Code Black, a patient comes into the ER with a distended eyeball. 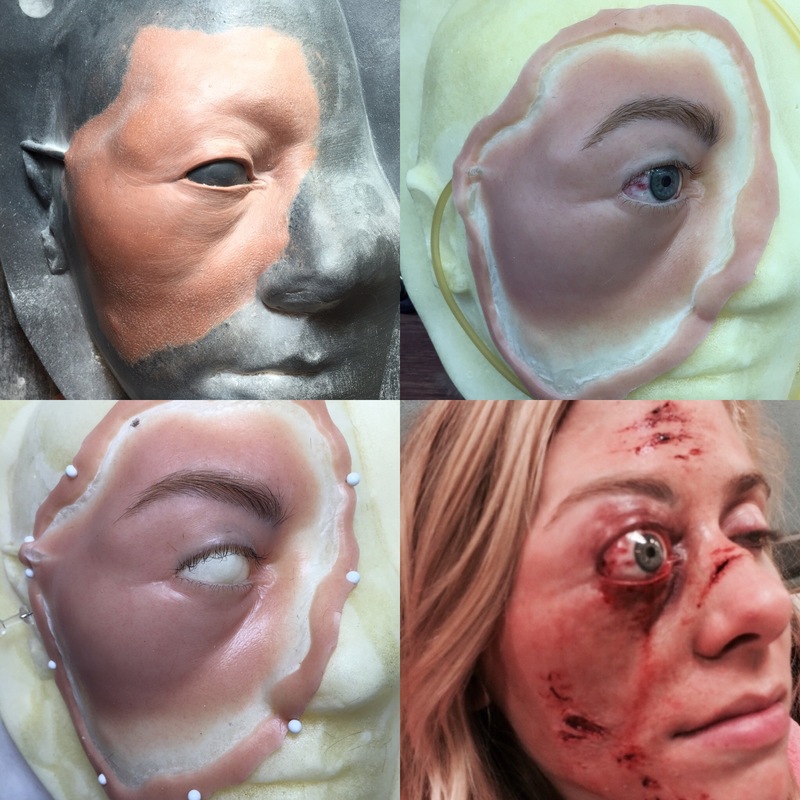 A bladder behind an acrylic eye followed by a silicone prosthetic with punched brow and lashes was used to achieve this effect. 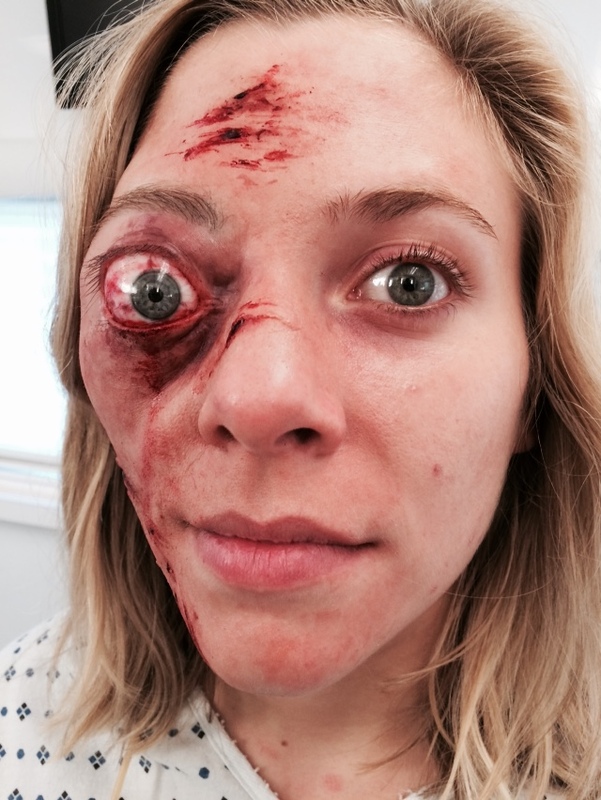 On set application by Peter Montagna.